Primosch’s compositional voice encompasses a broad range of expressive types. His music can be intensely lyrical, as in the song cycle Holy the Firm (composed for Dawn Upshaw) or dazzlingly angular as in Secret Geometry for piano and electronic sound. His affection for jazz is reflected in works like the Piano Quintet, while his work as a church musician informs the many pieces in his catalog based on sacred songs or religious texts. Born in Cleveland, Ohio in 1956, James Primosch studied at Cleveland State University, the University of Pennsylvania, and Columbia University. He counts Mario Davidovsky, George Crumb and Richard Wernick among his principal teachers. 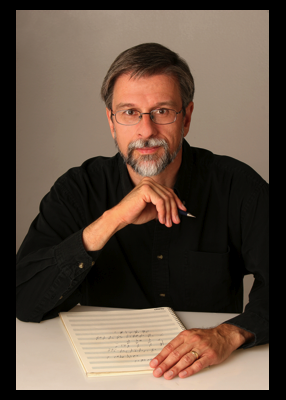 Since 1988 he has served on the faculty of the University of Pennsylvania, where he directs the Presser Electronic Music Studio. Dream Journal © Theodore Presser Co.
One Thing I Know, Times Like These © James Primosch.